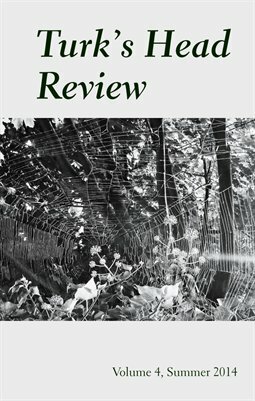 Turk’s Head Review, the blog-meets-literary-magazine site I edit, has published its third annual print-on-demand issue via Magcloud.com. Turk’s Head Review, Volume 3 is available now in print and online editions through Magcloud.com. Check it out today! I think you will be impressed. Thanks. I’m pleased to share this link to three new poems in Issue Five of Lyre Lyre. The first one, “Hard Work,” is about working at a relationship. The second, “elevator,” is about the experience of being alone in a lift. The third, “Bear at the Zoo” is more about love and desire than bears or zoos. Enjoy. Martian Lit has published my new story “Big Deal,” about an obnoxious and goofy retail worker who berates a customer for her choice of a Celine Dion album. You can read it online right here. My prose poem “Cut and Paste” was published in New Fraktur Arts Journal, issue four in the summer of 2012. You can read a copy here. Lucid Rhythms has published two formal verse poems of mine. The first is a villanelle, the second a pantoum. Check them out here. I have a haiku up at inner art journal. Metal Scratches Issue 14 has published my short story “Godzilla Man,” about a man who spends his last 100 dollars on a Godzilla costume.